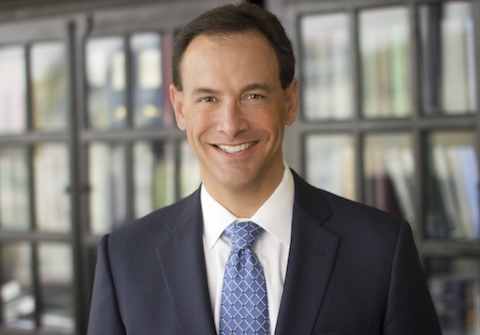 DAVID GREENSTONE is an experienced trial attorney, and a founding shareholder of Simon Greenstone Panatier, PC. He has served as the managing shareholder of the firm since its inception in February of 2006. Mr. Greenstone has extensive experience as a trial attorney, and has obtained numerous significant and ground breaking verdicts and settlements on behalf of his clients. He has tried cases involving toxic torts, dangerous pharmaceuticals, defective products, and other catastrophic injuries in numerous different jurisdictions across the country, including State and Federal Court. David was a principal trial counsel, along with his law partner Chris Panatier, in Winkel v. Colgate, which was the first verdict against Colgate for an individual who contracted mesothelioma from exposure to Colgate’s Cashmere Bouquet cosmetic talcum powder. 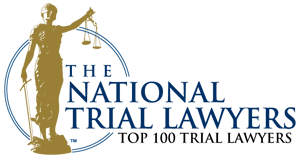 The verdict was noted as one of the top 50 verdicts in California for the year 2015. In 2018, Mr. Greenstone and Mr. Panatier teamed up again in the case of Anderson v. Johnson & Johnson, which was one of the first verdicts against Johnson & Johnson for causing mesothelioma as a result of asbestos contamination of Johnson’s Baby Powder. David was also lead trial counsel in the case of Coulbourn v. Crane Co, et al, which was tried in Federal Court in Arizona. 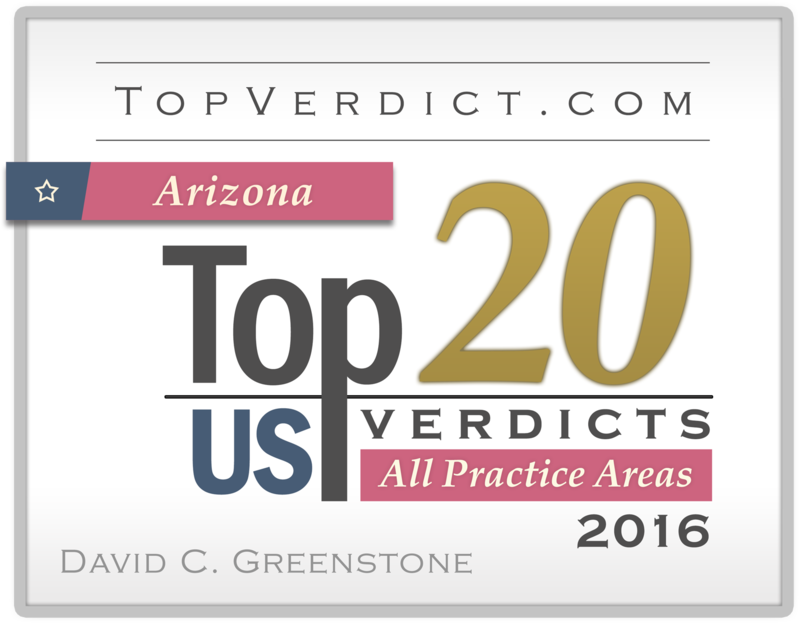 The case, which involved a civilian employee of the US Navy dying from mesothelioma, resulted in punitive damages findings against the two trial defendants, and was the highest verdict in all practice areas in the State of Arizona for the year 2016. In addition, David has battled the pharmaceutical industry and has obtained important and significant findings for his clients in various different types of litigation including Phenylpropanolamine (PPA), Stevens Johnson Syndrome, Toxic Epidermal Necrolysis, and others. 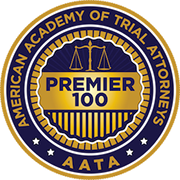 Mr. Greenstone is a member of the prestigious American Board of Trial Advocates and has been honored as a Texas Super Lawyer for many years. David serves as a board member for the Texas Trial Lawyers Association and is a former board member of the Dallas Trial Lawyers Association. His firm is a member of the Leaders Forum for The American Association for Justice. David also serves on the Board of Trustees for the Greenhill School in Dallas, Texas. Outcome: Significant verdict for Plaintiff, including compensatory damages and punitive damages against Crane Co. and The William Powell Co. Largest Plaintiff’s verdict in any practice area in the State of Arizona for the year 2016. Description: George Coulbourn contracted mesothelioma and died as a result of exposure to asbestos, including from products sold by Crane Co. and William Powell. Plaintiffs proved that the Defendants knew that asbestos was deadly for decades yet never warned Mr. Coulbourn of the dangers or took any precautions to protect him. The Jury found that both companies were responsible for contributing to cause Mr. Coulbourn’s death, and awarded compensatory and punitive damages. Outcome: Significant verdict for Plaintiff. 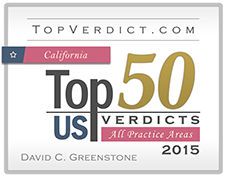 Noted as a one of the top 50 verdicts in the state of California for the year 2015. Description: Judith Winkel contracted mesothelioma from exposure to Cashmere Bouquet, a cosmetic talcum powder product made by Colgate. Plaintiffs proved that Colgate’s product contained asbestos and caused Judith Winkel’s cancer. This case was the first trial to go to verdict against Colgate for a cosmetic talcum powder product causing mesothelioma. Description: Ralph Stoute contracted mesothelioma from exposure to asbestos products, including John Crane Gaskets. Plaintiffs proved that John Crane knew or should have known that asbestos was deadly for decades, but failed to take the proper precautions to protect Mr. Stoute. The jury found that John Crane was negligent, that its products were unreasonably dangerous, and that it failed to warn of asbestos related dangers. Outcome: Defendant McNeil found to be Negligent and to have caused Plaintiffs Injuries. Plaintiff also found to be negligent, which operated to bar recovery under VA law. Description: In September 2005, Karen Robinson ingested three doses of Over-the-Counter (OTC) Children’s Motrin over a three-day period for a headache and fever. By the third day, she was rushed to the emergency room and subsequently diagnosed with Toxic Epidermal Necrolysis (“TEN”), a severe skin reaction that causes an individual’s skin to burn off, as well as severe injuries to the eyes, mouth, and genitalia. The jury unanimously determined that McNeil Consumer Healthcare was negligent in failing to warn about the potential life-threatening reactions associated with OTC Children’s Motrin, an ibuprofen-based product and that the negligence caused Ms. Robinson’s injuries. This was one of the the first negligence and causation findings against McNeil for their Children’s Motrin product. It was also one of the first such findings against any maker of an OTC ibuprofen product. The jury also found that the Plaintiff was contributorily negligent, which operated to bar recovery under Virginia law. Description: John Russell, a 72-year old California resident, contracted mesothelioma caused by asbestos exposure. Russell worked as a delivery driver for an auto parts store in the mid 1950s. During that time, Russell was regularly exposed to asbestos from friction products, including Ford brake linings, as a bystander during arcing and grinding in the machine shop. The jury found that Ford’s brakes were defective because they failed to contain warnings of the inherent dangers of asbestos in the products. The jury also found that Ford was negligent and assessed a 10% fault to Ford for causing Russell’s mesothelioma. Description: Erwin Bergquist filed suit in Los Angeles Superior Court in May 2007, alleging that his malignant pleural mesothelioma was caused by exposure to asbestos. Bergquist alleged that he was exposed performing repairs and maintenance to General Motors Corp.’s diesel engines while in the U.S. Navy from 1951 to 1954. Plaintiffs alleged that the engines contained asbestos gaskets and insulation and that work on the engines exposed Bergquist to enormous amounts of dust. The jury apportioned 65% of the liability to General Motors. Description: Miguel Valverde suffered a hemorrhagic stroke in 1997 only hours after taking a dose of Alka-Seltzer Plus with PPA. Valverde sued Bayer Corp. in 2002 alleging the stroke was caused by the medication and that the drug was defectively designed and Bayer was negligent and conspired to conceal the dangers of PPA. The jury returned a verdict in favor of the Plaintiffs. This was the first verdict against a pharmaceutical company for a stroke caused by an over the counter cough/cold medicine. Description: Robert Durham worked as a chemical operator at Eastman Kodak in Longview, Texas from 1955 to 1968. He never worked directly with asbestos products, but rather in close proximity to insulators and other employees who did. As a result of this exposure he was diagnosed with asbestos-related lung cancer and died one year later. Finding that Durham’s lung cancer came from occupational exposure to asbestos, a jury awarded widow Glenda Durham and her four children significant compensatory damages. The jury found that Pittsburgh Corning acted with malice and awarded punitive damages, holding them 40% liable. 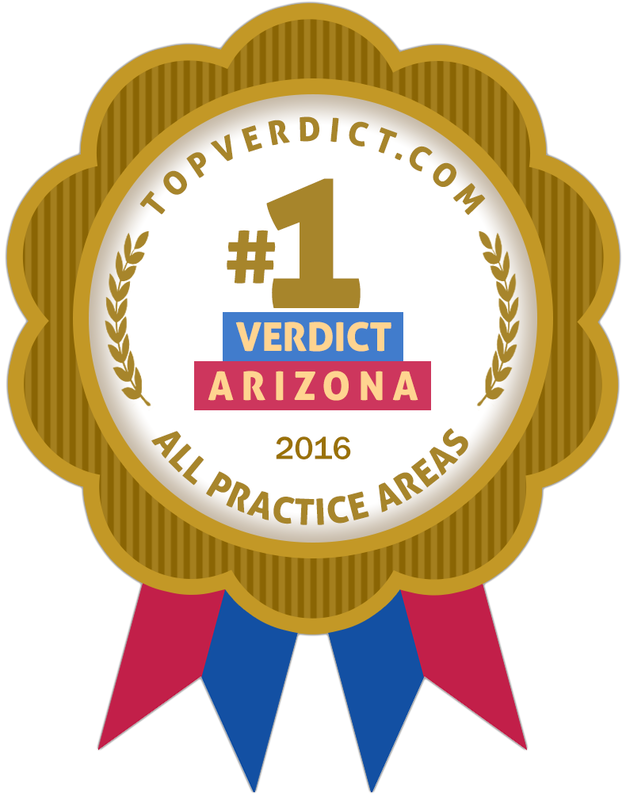 Top 50 Verdicts in California Award by TopVerdict.com (2015) – Winkel v. Colgate-Palmolive Co.
Top Verdict in Arizona Award by TopVerdict.com – All Practice Areas (2016) – Coulbourn v. Crane Co. et al. We have built this firm on the shared belief that there is nothing more important than fighting for those who are in need. That is the singular value that binds every member of our firm. For me, there is nothing more rewarding than helping someone who had lost hope find some semblance of justice.